Under threat of a possible fourth North Korean nuclear test, should South Korea develop its own nuclear weapon? A fourth nuclear test could further influence the debate in Seoul and Washington over whether South Korea should consider the “nuclear option.” Such a decision – if South Korea were to seriously consider it – could upturn the 60-year South Korean-U.S. alliance, global nonproliferation efforts, not to mention dozens of international obligations that tie one of Asia’s wealthiest nations to the global economy. Even talk of “going nuclear” has some in South Korea’s political class worrying out loud that the debate has already moved from the political fringe to occupy center stage. And there is cause for concern. 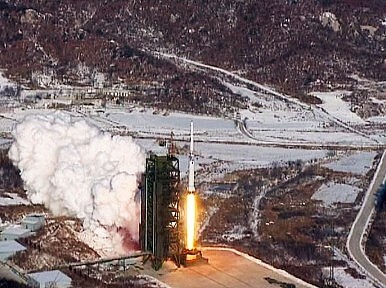 The North’s third nuclear test in February 2013 shifted public opinion in South Korea over whether it should start its own nuclear weapons program. In September 2013, in a Chosun Ilbo column, conservative commentator and political analyst Kim Dae-jung argued that it should. It is a sentiment echoed by two-thirds of the public surveyed by the Asan Institute for Policy Analysis the same month. They have allies in American political circles. Elbridge Colby, writing for the conservative foreign policy journal, National Interest, proposed in February that the U.S. put “geopolitics over nonproliferation” if Japan and South Korea choose to develop nuclear weapons. And last year, the U.S. House Armed Services Committee demanded that the Obama administration examine the “feasibility” of re-deploying tactical nuclear weapons on the Korean Peninsula. All this talk has pushed one former senior South Korean foreign policy advisor to weigh in on the question of the re-deployment of U.S. tactical nuclear weapons on the Korean Peninsula and the development of a South Korean bomb. Yonsei University professor Moon Chung-in was a former senior foreign policy advisor to South Korean government agencies such as the National Security Council of the Office of the President, the Ministry of Foreign Affairs and Trade, the Ministry of National Defense, and the Ministry of Unification. Dr. Moon attended the 2000 and 2007 North-South Korean summits as a special delegate. He was also appointed as a member of then president-elect Roh Moo-hyun’s high-level delegation to the U.S. in 2003. He was also chairman of the Presidential Committee on the Northeast Asian Cooperation Initiative, a cabinet-level post. Moon, along with Dr. Peter Hayes of the Nautilus Institute, penned an article published this month by East Asia Foundation’s Policy Debates No. 7, answering the question: “Should South Korea Go Nuclear?” Philip Iglauer spoke with Moon recently. The South Korean government has been clear that it has no plan to develop a nuclear weapons program. Why did you decide to come out with this article now? The reason why Peter and I wrote this piece is, our citizens – sometimes 60, sometimes 70 percent of them – continue to support the nuclear weapons idea. We thought that that has something to do with education. If they had a proper non-proliferation education, then they would not come to that kind of conclusion. We thought we need to make a piece that can tell people that having nuclear weapons is more harmful than not having them. Another reason we wrote this article is that there has been widespread speculation that North Korea could conduct another nuclear test and, if that happens, that could trigger opinions in favor of developing a nuclear weapons program or the re-deployment of U.S. tactical nuclear weapons. By having this kind of article we can show the South Korean people that even if that happens it is not wise for us to pursue our own nuclear option. So, in your assessment, what are the drawbacks of South Korea developing its own nuclear weapons program to match the one already developed by North Korea? Far from reinforcing South Korea’s already overwhelming conventional military capabilities – including in almost every dimension where North Korea has developed offsetting “asymmetric” capabilities – South Korean nuclear weapons would undermine deterrence based on conventional forces, and even reduce South Korea’s ability to use its conventional forces in response to a North Korean attack. Plus, no U.S. Commander-in-Chief is going to put American forces in harm’s way in a Korean conflict, if South Korea wields nuclear weapons outside of U.S. political and military command-and-control. Independent South Korean nuclear weapons would complicate for U.N. Command and Combined Forces Command. In addition, South Korea’s quest for nuclear weapons could instantly trigger a nuclear domino effect in the region. If that happens, there is no way to prevent Japan from going nuclear. What about the re-deployment of U.S. tactical nuclear weapons in South Korea. Could such U.S. weapons be a viable alternative to a South Korean program? It is not necessary because of U.S. extended deterrence and its subsequent nuclear umbrella. The U.S. has nuclear submarines; they have long-range bombers; they have intercontinental ballistic missiles on the U.S. mainland. They can use them easily. There is no reason for the U.S. to deploy tactical nuclear weapons here on the peninsula. As (Lt. Gen. John) Cushman once pointed out in the 1980s, it could be a headache for American forces here. They have to spend a lot of money and human resources to guard against any terrorist infiltration, stealing and all this kind of stuff. That was one of the main reasons why they withdrew the tactical nuclear weapons from Kunsan in 1991. What is your response to those in the U.S. House of Representatives who have suggested that the redeployment of such missiles could serve to ward off an increasingly aggressive China or re-assertive Russia in the region? That means, what? Those tactical nuclear facilities will simply become a target for Russia and China. Why should we (South Korea) increase our vulnerability through the deployment of those weapons? It is not really feasible from an American policy point of view, too. Obama made it clear that the tactical nuclear weapons card, or theater nuclear weapons, have become obsolete and that he wants to get rid of them as part of his “nuclear weapons free world” campaign. What is their utility, if the U.S. has intercontinental ballistic missiles, nuclear submarines, and long range bombers? Practically speaking, the U.S. can hit targets anywhere, any time. Why would it deploy tactical nuclear weapons that require an additional cost to guard and protect. Anyway, if that does happen, then it could justify the North Korean having nuclear weapons. We would not have any moral ground. And North Korea would be targeting those tactical nuclear facilities, which would then increase our vulnerability. What are some of the implications of a South Korean nuclear weapons program on the country’s international obligations? South Korea would face very high costs were it to move in this direction, because it is deeply embedded in multilateral and bilateral treaty commitments and nuclear energy supply trading networks. The development of a nuclear weapons program would violate its obligations under the Nuclear Non-Proliferation Treaty and the International Atomic Energy Agency. It would certainly end South Korea’s reactor exports and likely also the supply of uranium, enrichment services, and other materials. It would also end the dual-use technology needed for South Korea’s nuclear fuel cycle from the Nuclear Supply Group, such as the United States, Australia, Russia and France. Washington would likely reject not only Seoul’s request to reprocess or pyro-process spent nuclear fuel, but also its desire to enrich uranium, even for research. This would adversely impact our negotiations with Washington in renewing the ROK-US Atomic Energy Cooperation Agreement. Some conservatives in South Korea have suggested South Korea could use serious consideration of such a program as leverage in current negotiations with the U.S. over renewing the ROK-U.S. Atomic Energy Cooperation Agreement. I think it is a stupid strategy. They think they can use this as a bargaining chip, but they do not understand the overall sentiment in Washington, D.C. with regard to nonproliferation. Moreover, the conservatives approach would severely undercut President Park’s position. It would have the opposite effect in Washington. That is what Robert Einhorn has been arguing. Compromising nonproliferation is tantamount to opening a Pandora’s Box, regardless of whether (South Korean negotiators) are talking to Democrats or Republicans. If the nuclear genie is let out of the bottle, then it would critically undermine U.S. hegemony in this part of the world. No matter how worrisome China’s rise or the posture of Moscow in the Russian Far East.